Develop a master plan for a premium lifestyle community which embodies His Highness Mohammed Bin Rashid Al Maktoum’s vision of Dubai becoming a landmark city and among the best places in the world to live. Finalised, amended and achieved the adoption of the Master Plan by a number of approval authorities. As the Project Director, was responsible for overseeing the design, approval and construction of all development projects and infrastructure within the Project. Preparation and approval of supporting District Plans, Development Guidelines and Plot Control Plans. Dubai Hills Estate occupies 2,700 acres of land and is centrally located between the Dubai Marina and Downtown Dubai (Dubai Mall). This Estate is envisaged as a premium lifestyle community including 1,100 luxury golf course homes, 4,000 villas/townhouses, 26,000 apartments, an 18 hole championship golf course/club house, three TOD rail hubs, regional shopping mall (250,000m2 GFA), five community shopping centres, tennis academy, eight International Schools, four Hotels, Indoor amusement park/gardens, expensive F & B and three Business Parks. The Masterplan has been to design new urbanism principles, including highly interconnected communities (extensive pedestrian, cycle and public transport networks), extensive linked green spaces including links directly into the Regional Mall and TOD nodes, Green Building Design (LEED Gold/Silver), Cool City Design Principles (passive design, micro climates and low heat island design), flexible/adaptable building designs and self-contained employment generation nodes and communities. Dubai Hills is divided into seven (7) distinctive Districts based on land uses characteristics including Golf Couse Estate, Regional Mall, City Centre, Business Park, The Village, Central Park and Retreat Districts. The Regional Mall includes two Metro Stations, 100,000m2 of F &B, two Business Parks, three Hotels, medical Clinic, Indoor Recreation Dome, Service Residential Apartments and 25 Cinema Screens. 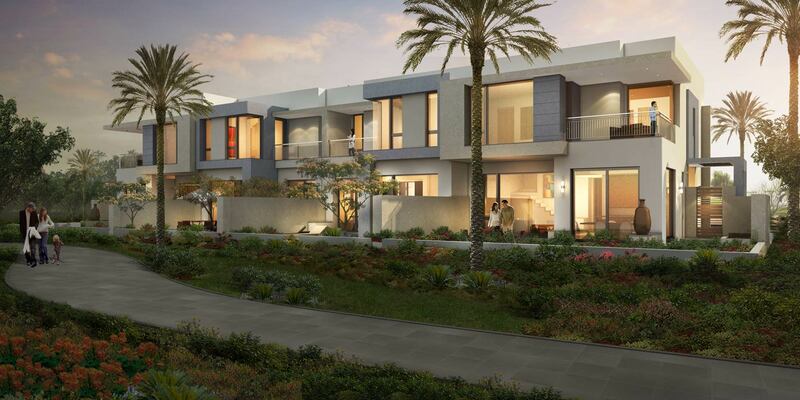 Dubai Hills Project is intended to be developed as a self-contained City-within-a-City creating an integrated lifestyle community that are synonymous with luxury, comfort, quality, strong sense of community and superlative standards of living. All development within Dubai Hills Estate has been designed to meet World’s best practice in Urban Design and Sustainable Development standards (minimum environmental rating of LEED Silver).